Stars such as Sir Michael Parkinson and Nick Grimshaw, England rugby star Austin Healey and top-ten boyband The Vamps are among those participating this Christmas to help people in need. Throughout December people can choose one of the fifteen charity e-cards from bt.com/christmascards.After making a minimum donation of £2 via BT MyDonate, the not-for-profit, online fundraising platform, people will receive an email with a link to download their e-card.The e-card can then be shared with family and friends via email or social media. Boyband The Vamps have put down their microphones and donned their best Christmas jumpers to pose for an exclusive photograph for the front of their Christmas card to support the NSPCC. They said: “Having a wonderful childhood is so important but unfortunately not everyone gets this.We've been lucky enough to help the NSPCC raise more money this Christmas through the BT MyDonate Christmas card campaign." Ronan Keating is no stranger to chart topping hits, but is hoping his festive design will be one of the popular choices on the MyDonate site this December. Ronan is supporting Cancer Research UK with his hand drawn design of a snowman and colourful Christmas tree. Rugby World Cup winner Ben Kay, Tom Fletcher and Harry Judd from McFly, JP from Made in Chelsea and TV star Dawn O’Porter are also among the 12 celebrities, sporting stars and authors to design cards to raise money for good causes. John Petter, chief executive of BT Consumer, said: “We are so pleased that celebrities have given up their time free of charge and pulled out all the creative stops to get people donating to some really worthy causes this Christmas. The trend of donating to charity instead of sending Christmas cards is growing in popularity, and ensures customers’ money goes to a good cause. Recent research from consumer group Which? shows that some retailers hand over as little as 10p from packs of charity Christmas cards on sale in store. All of the donations from these celebrity-designed charity e-cards will go directly to charity (apart from the 15p debit card or 1.3% credit card fee). Harry Judd for the Lord’s Taverners: "I love Christmas, who doesn’t?! Hopefully everyone will want to spread some festive cheer with my BT MyDonate Christmas card! Your donation to buy this card through the MyDonate site will go to help more disadvantaged or disabled kids enjoy sport through the Lord’s Taverners charity." James Haskell for Movember Foundation: "My BT MyDonate Christmas card brings the traditional snowman into the 21st century with his very own mo. Choose my card this Christmas to help men live happier, healthier and longer lives. MyDonate doesn’t take any commission from your donation, it’s a simple decision." The Vamps for the NSPCC: “Having a wonderful childhood is so important but unfortunately not everyone gets this.We've been lucky enough to help the NSPCC raise more money this Christmas through the BT MyDonate Christmas card campaign." MyDonate is a not-for-profit, online fundraising service for UK charities. BT MyDonate does not charge any commission fee, subscription fee or registration fee. The only charge made against your donation is the credit/debit card charge from the bank. (1.3% of donation on credit cards and 15p for each debit card transaction). The service provides a secure, easy-to-use way for millions of people to raise money for the charity of their choice. BT MyDonate does not earn any interest on the money donated to a charity. Charities receive the money that has been donated weekly. 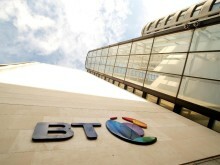 BT invests at least one per cent of its corporate pre-tax profits in the community and environment every year. At the end of March 2013, BT’s investment in society amounted to just over £27m over the previous 12 months - a combination of direct funding and in-kind support. This equates to 1.12% of our pre-tax profits.